A lecture or spiel on Astrology, involving the birthdates and characteristics of spectators must, of necessity, be extemporaneous. And the successful lecture must establish a direct relationship between the individual and the planets. Such is an effective demonstration of Astrology and will convince the most skeptical. The high points and features of a good spiel are herewith given and the performer should rearrange them to suit his taste. 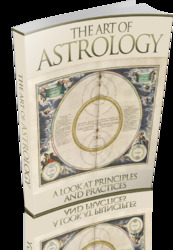 The lecture is to be used in conjunction with a pictorial chart snowing the division of the Zodiac, and enables your spectators to follow the course of the lecture with greater ease. 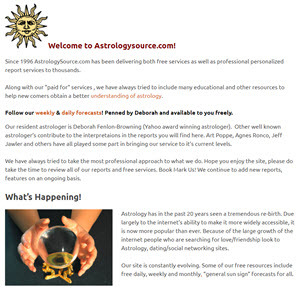 "Friends, astrology is a science of foretelling probable future conditions by the position of the planets, or major stars in our solar system. 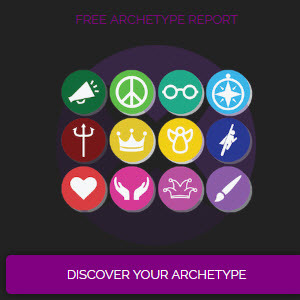 This form of fortune telling,.if you wish to call it that, was practiced thousands of years before the Birth of Christ, and now in its modern form is highly scientific and accurate. The astrologer is able to read your life, characteristics, talents and aptitudes like the pages of an open book and all he need know is your birthdate and birthplace. Most important about astrology is its ability to analyze people and to find their true vocations and start them on the road to success. Park benches of our cities are filled with men and women who have failed in life's race to success and happiness simply because they didn't follow some profession or line of work that they really were adapted to. A square peg never did, or will, fit a round hole. Astrology teaches that all mankind is divided into twelve and only twelve general glasses of people - the same as our year. However, the Zodiac is divided into twelve signs (or months) and each sign represents a different type of person. For instance, all people born between March 21st to April 19th, were born under the sign known as Aries. That tells me much about these people. Aries is the first and most favorable sign of the Zodiac and is symbolized by the Ram. I know people of this sign can marry people of only a few of the other signs and find happiness in marriage. I know the nature of their temperament and when compared to temperament of some of the other signs, they haven't a chance for happiness in marriage, or some kinds of business. How many of you were born under the Ram with the Golden Fleece? Right, that Ram i3 a second cousin of yours, and it's hard to tell which head is hardest. You know the ram never kicks - he always butts, so his head must be strong. Now here is a man who hates to go to bed at 3 o'clock in the morning for fear he'll miss something. Re is the inquisitive type - he wants to know - his curiosity often gets the best of him. When he says "no", he means no! And when he says "yes" he means yes I Mars is your ruling planet, from which source we take the word "martial". We can rightfully say that this man is of the martial type. Aries is a head and fire sign. Denotes temper and a fiery nature. He has a habit of fussing with the Mrs. will break up the china, and in the next ten minutes will say, "Oh well, Honey, it's as much your fault as it's mine, let's kiss and make up. !,i That's Aries for you.